Carbon-fibre has been a popular choice in supercars as it is five times as strong as steel and twice as stiff, yet weighs about two-thirds less. This gives the necessary agility and strength to all the exotic cars. Now, General Motors is planning to introduce carbon-fibre wheels on its performance cars such as the Corvettes, the Camaros and the Cadillacs as an optional equipment. The American car manufacturer is planning to tie-up with Carbon Revolution, the company which provides CF wheels to Ford for the GT and the Mustang Shelby GT350R models. Even the upcoming upcoming 2017 Ford GT is expected to get split-five-spoke carbon-fibre wheels by Carbon Revolution. The Autoblog reported that William Rodgers, GM light polymer systems technical fellow, research and development, said, "It's a performance-driven execution. 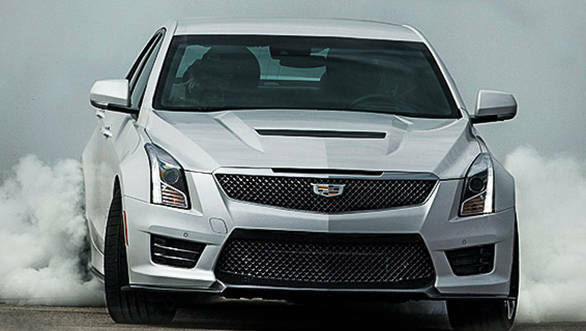 Cars like the Cadillac's V-Series models would be the ideal candidates (for carbon-fibre wheels)." Rodgers also pointed out that the use of carbon-fibre wheels could help reduce the kerb weight of the car by 16kg, greatly reducing rotational and unsprung weight to improve dynamics. The weight of individual components such as that of the tyres, wheels, brake assemblies, wheel bearings and hubs constitute the unsprung weight. Reducing the unsprung weight helps control the suspension's movement as the springs and the shock absorbers are more effective. GM has reportedly begun testing the wheels to monitor its performance, handling, and wear and tear in daily conditions. GM also indicated that though it is working on the repair costs, it is most likely that damaged wheels would have to be replaced by new ones. Rodgers also mentioned that GM expects the prices of carbon-fibre wheels to reduce once there is an increase in demand. The carmaker has not mentioned any particular timeline for introducing the CF wheels in its cars.